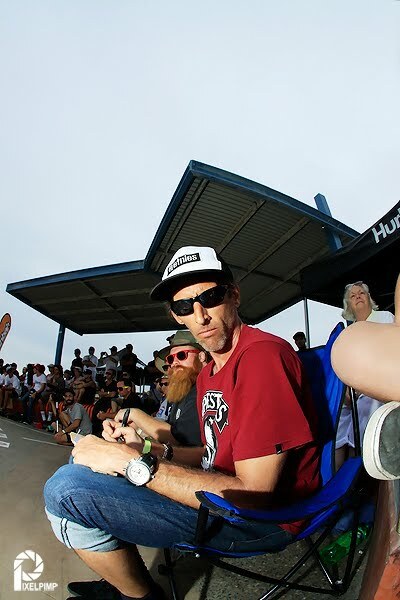 ABC Hurley Australian Bowl-riding Championships 2012. Exclusive coverage for isTia.Tv by Kim Andison and Nigel Dawes. All photos and stories by Nige and Kim. Nige and i had to be up early to make the 4hr drive to Empire Park, bar beach Newcastle - home to the first ABC (Australian bowl-riding championships). The weather man was making us uneasy, as we rose to overcast conditions and spitting rain - spelling gloom for the competition. When we arrived the Gods were kind... the clouds dispersed and the comp was on! After warm ups, the day kicked off with the The Mtn Dew Am Jam, and from the first second it was clear it was going to be an action packed afternoon. The local groms were putting on an explosive display and were tearing the bowl apart with flair and conviction. 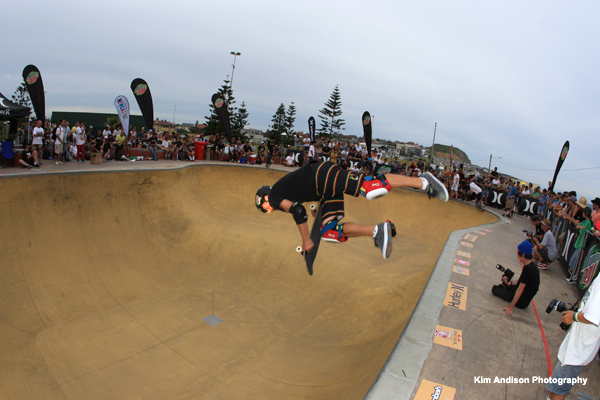 Sydney boy, Ben Kay from Bondi ended up taking the top spot with smooth runs (50's/airs/massive boardslides etc) and massive f/s airsand earned himself a spot at the Dew Jam @ Bowl-A-Rama at Bondi Beach. Next up was the womans event, and jeez these girls could skate!!! First cab off the ranks was bondi girl poppy Olsen, who for 11 years of age was showing up some of boys. Busting 3 foot frontside styled airs out of the deep end (13ft) of the bowl. The girls were drawing some sweet lines, throwing down tech moves in the shallows. It was a hard fought battle, all the girls skated immensely but lil poppy ended up taking the honours with some fine f/s and b/s combo's from down deep in the bowl. 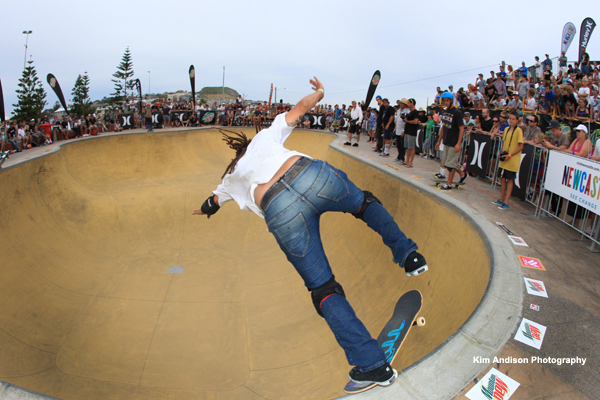 540 spin to claim the major prize and entry into the Bondi Bowl-A-Rama. 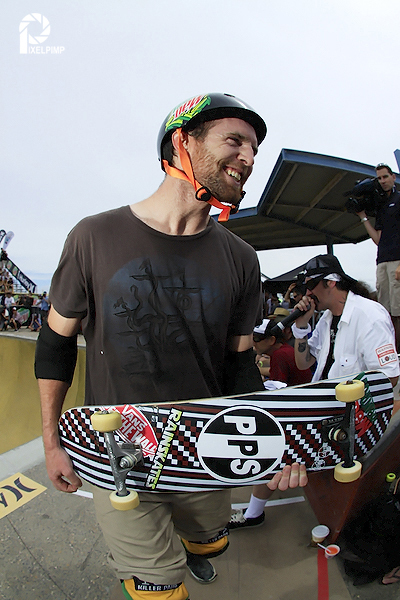 Jackson Pilz, Matt Kitai and Zeke Mathews from the Pro division are now guaranteed a spot at Vans Bowl-A-Rama Bondi to skate amongst the biggest professional bowl-riders in the world. Till then... Enjoy skateboarding and peace! Nige: i'm talking to nathan trew, sorry man, i've got a bit of a scratchy voice from yelling over the pumping music all day. what did you think of the the music bro? Nathan: man the music was awesome, it definitly amps us up and all the boys get fully pysched and then just the adrenalin kicks in....! Good beats make for good skating! Nige: So how did you end up today? Nathan: Yeah man, well i just surprised myself, I just thought alright and went in there and y'knoq see how i'd go and did ok man. Was very happy with how i went for sure. Nige: Were you intimidated by the competition? Nathan: Yeah sorta, but it was all good man. We all get in there and have a go and feed off the other boys when we skate. You know everyone just feeds off each other and encourages everyone. You know we're all like family, good friends and all that and we just love it. Me: So who was your favourite skater out there today? Like who was charging out there like there life depended on it? Personal favourite? Nathan: Ohhhhh. Fardell... man, Fardell was killing it!! Me: Yeah man, Fardell was killing it! Nathan: But you know, Otavio always surprises us. Me: Yeah man he is so consistent hey! Me: So what was the raddest move you saw today? Me: All in all what did you think of the event, the bowl and Newcastle? Lil' Poppy Olsen ended up taking the honours with some fine f/s and b/s combo's from down deep in the bowl. your riding a 13ft bowl ha ha, it's huge. I'll definitely be back next year. Nige: So how were all the grommies skating today? Nathan: Yeah man, the grommies were ruling hey! Luke Russell, Little Lachie and Ben Kay were ripping. There was such a good vibe among all the young blokes and they were charging. Me: Good luck in New Zealand bro and I’ll catch you down the park soon. Nathan: Yeh thanks, for sure. Stay tuned for complete coverage and pictures.